Hi, my name is Hillary. 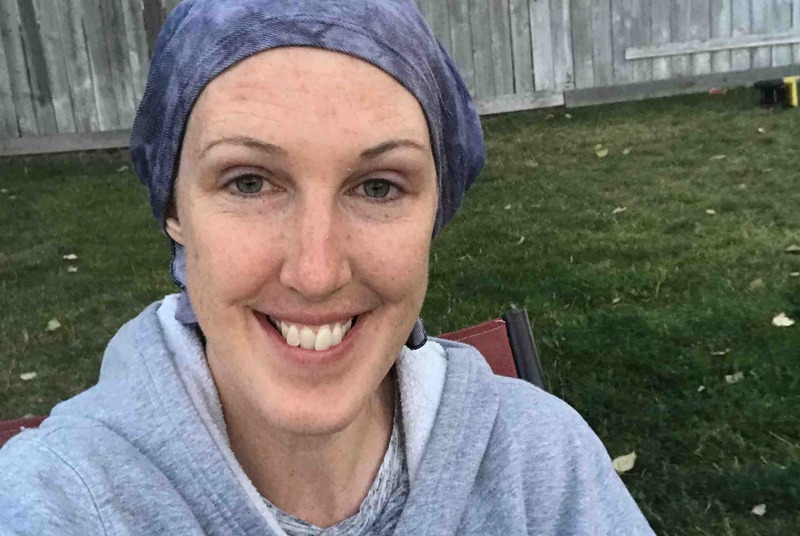 I’ve been fighting Stage 4 metastatic breast cancer for two years now. I have mets to the liver and the brain. Six months ago they found tumors in my brain and I became physically disabled. Now I can’t drive or work, so this makes it very difficult for us financially. I had brain surgery this summer. The first time after I was hospitalized, I was in a wheelchair for a month and my husband took three months off work to take care of me. And this summer he took a couple weeks off to take care of me after my surgery. Now I’m doing my third round of chemo and I’m sick all the time. We are really struggling financially right now. We can’t pay our phone bill and we’re behind a month, and I have a couple medical bills I can’t pay. I need to buy the kids’ winter clothes but we cannot afford the things we need right now, since all my Disability money would go to bills. I feel at a loss and very discouraged. We need help right now. Anything you can give will be very much appreciated. Thank you! I am battling stage 4 metastatic breast cancer but doing better! My brain is looking good. I went from 15 masses on my brain last March to only two now! It’s shrinking and my brain is now functioning normally. Praise God! The cancer is my liver isn’t being as cooperative. It hasn’t shrunk since I’ve been doing chemo pills for the last five months, BUT it has not grown or spread anywhere else either! I am in stable condition and my liver is functioning normally. I’m currently on chemo pills and doing cognitive and physical therapy. I’m still on disability. I’m tired all the time and feel sick often. But I’m alive and God is good! I have a wonderful supportive husband and family. We still struggle financially and with paying bills, so thank you so much for those who have recently donated money! It is still much needed and appreciated! Thank you also for your prayers! God bless you all! Wow! Thank you all so much for your gifts and helping us reach our goal in just two days! This is a huge relief for me because now I can pay some bills and have less stress. I was praying and asked God to provide this last week and this was His answer. I’m humbled by your generosity and willingness to help. We have had such a difficult time the past two years, and I appreciate the love, prayers, and support many of you have given! May God bless you!